Are You Ready To Start Your Own Small Home-Based Business? It's time to take the plunge and start living YOUR dream! But...are you ready to start your own small business? Maybe you are having trouble figuring out where and how to start your own business? 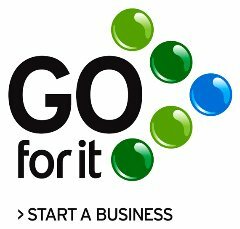 Start your own recession proof, easy to start, low cost, in demand, very profitable but most importantly FUN businesses. "Thank you so very much for your wonderful work. They are better than what I ever expected, they are perfect. I did not expect all the House Cleaning forms to be so professional and beautiful at the same time. After seeing all that is available on the web, your work by far exceeded my expectations. You were so creative using my logo and all the details in each and every form just make these forms so custom and not at all like those other cookie cutter forms. I want to also thank you for the timely manner in which you finished them in. Of all the purchases that I have had to make for my business, this has to be the most pleasant of them all. I still cannot believe that for the small amount that you charged, I received this custom, beautiful package that I am so proud of. You must be proud of the beautiful work that you have done. You truly have a talent for what you do and an honest heart. My very best wishes to you and your business, from a true fan and grateful customer." "Hi Stacy, I received the disk and am very pleased with the forms. I like my contract for Anita's Home Care, but I truly think yours is the better one. Your contract included things that my attorney did not suggest when he looked over my original contract. Thank you and I look forward to doing business with you in the future." "These are AWESOME! I've visited many websites to find forms such as these, but yours, by far, win hands down! They are concise and VERY professional! What a great product line!..." To read more testimonials click here. We can help you start your own successful and profitable business! We have provided you with many free start up guides which help you step by step through the startup process...for free. We don't charge you for coaching. Read through the guides and still have a question...just send us an email or give us a call and we can help you...FOR FREE!!! Do you know what is going to set you apart from your competition? It's your professionalism. Treat your business like a business, not a hobby. Don't forget, your clients are trusting you with their homes, their keys, their pets, their belongings...they are trusting you. Show them you are a serious business owner and they will hire you over the neighbor down the road or the other business owner that is just a hobby business. So, how do you show professionalism? One way is with professional paperwork. They will know you put time and effort into your business if you have a professional contract, professional estimates, professional bids, professional invoices. One that looks complete and well put together but not overbearing. Did you know the hardest and most time consuming part of starting your own small business is the paperwork side of it? The research and design of all the business forms you will need can take months. Home Business Forms can help! You have just saved yourself countless hours and months of lost income just by visiting this site! Get a huge head start on the "Grand Opening" of your business!! If you need any help with this website, have a question about any of our products or just need some business advice, feel free to email us, call or text us at 484-348-4233 or click on the live chat button on the bottom, right side of your screen. We welcome all questions and are happy to help...that is what we are here for! We also have tons of resources on starting these businesses in the FAQ and resource section...all free for you to explore! If you would like to advertise on this site, please click here for rates and information.